The relationship between the tenant and landlord is complicated and if you don’t want a tenant who adds more trouble to your life, then you must learn first how to be a good landlord!! Though it is quite simple as long as both the party is eager to play their responsibility sensibly there won’t be any issue between them. A landlord should focus on tips to make interior that tenants will love to have in a rental home. If you are looking for an apartment for rent in London then you must be wondering how to choose a property that not just makes your life easier in a city but you must be concerned about the landlord as well. There are many rentals in London available for tenants, but the silent tussle between the landlord and tenant is well known, so if you are looking for long term rental flats in London then your concern is not just to find a suitable flat but to find a professional landlord as well. Presentation matters a lot. When it comes to present your property to the potential tenants make sure you presented the property in such a way that potential customer finds it hard to say NO. The property should have all features that tenants expect in a rented home. Though there are factors that affect’s tenants decision but being a property owner it is your responsibility to present the home that instantly clicks the client. House owners should keep in mind that they should offer the apartment for rent as they would like to receive. A well maintained and cared property will have no rejections. A tenant would love to pay the rent if they are happy with the property and its condition. If you don’t want to miss good tenants make sure your property is equally good for them. A tenant should take pride, even in their rental home and it is possible only when they receive well maintained and quality home. How to be a responsible Landlord? Before you and your tenant grow fond of each other, it is important that the tenant love your apartment. They take care of it properly as it’s their own. After it’s, you have invested a lot in building the estate and when someone damage it or neglect it creates a rift between the two. The interior of a house matters a lot. If a property is situated in the desired location and it’s interior not just please their aesthetic sense, but suits well to their requirement then there are fewer chances of rejection. Make sure the house has proper storage space, well-designed kitchen and bathroom. Further, the house should have enough number of cabinets and drawers to keep the home organized and tidy. 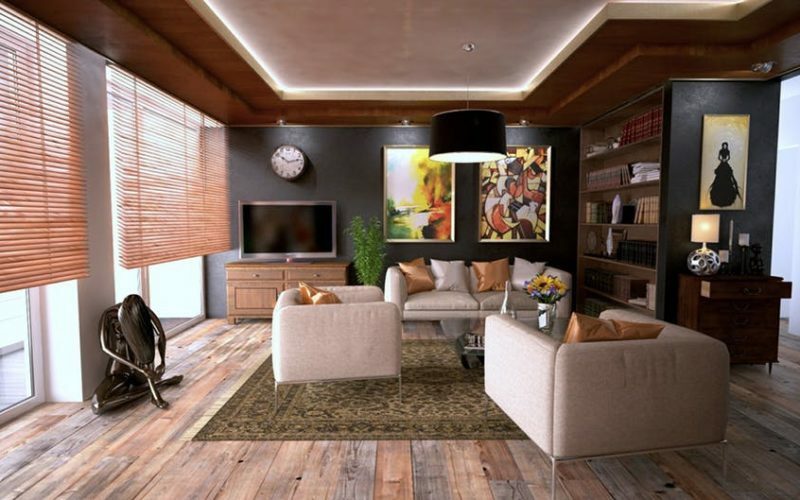 These tips to make interior beautiful will play an important role in renting. Use extra space wisely so that it helps the tenant in keeping their goods properly and safe manner. Consult an interior designer to make the property more useful and lucrative. It becomes more crucial if you have invested in the property with the hope to earn the rent. Being a landlord, it’s not an easy task. One has to play many responsibilities and foremost is to ensure that the tenant is safe and secure in their house. Both Landlords and Tenants have their responsibilities, which they can not ignore to maintain cordial relations. Be available for the tenant. Don’t neglect your tenant call or complaint. Avoiding tenants call will leave them frustrated. Neglecting them, can leave a negative review of the property and landlord. Attend their concern and complaints promptly. Let them know that they have a responsible landlord who cares for the property as well as for tenants. Respect their privacy: even if the property belongs to the landlord, they are supposed to inform the tenant before arriving. Be approachable and considerate: there is no need to be rude to the tenant. Treat them with consideration and build a healthy relationship with them. Finding a good tenant and landlord can make life easier for you. Just play your part genuinely and enjoy a hassle-free life.